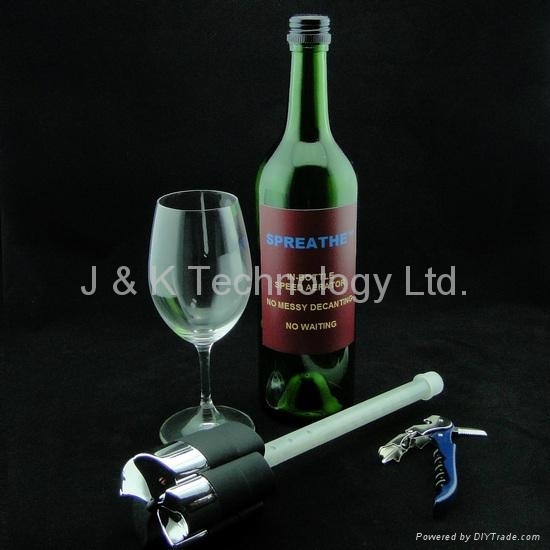 Spreathe™ Electronic In-Bottle Speed Aerator shortens the peaking time to minutes (whole bottle aerated) instead of hours, savor your wine in its most glorious monent while you are still in the mood. Amazing your family and friends just take 2 minute to enhanced bouquet and flavor, tastes fuller, fruitier and smoother finish. Try the same bottle wine before and after, you will found it was a great improvement. 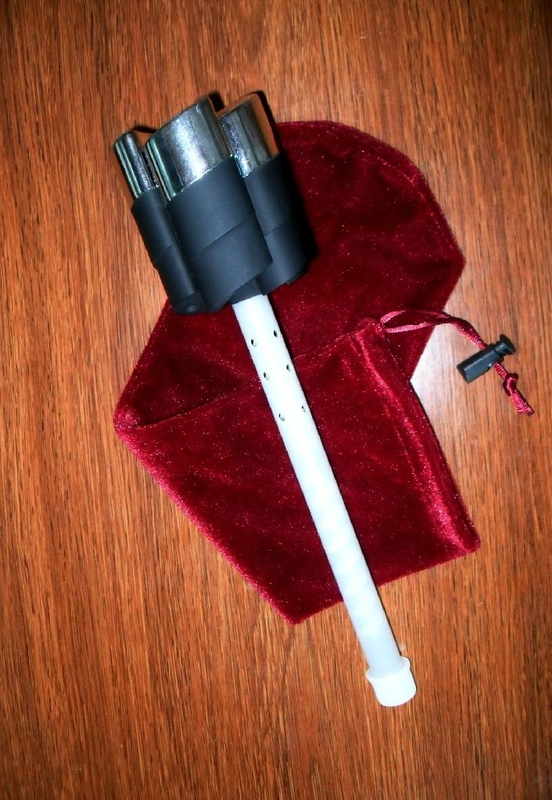 • Operates by 2 –AA size batteries which allow for approximately 100+ bottle aerations. • Product weight: About 150/gm (5.3/oz.) excluded batteries. 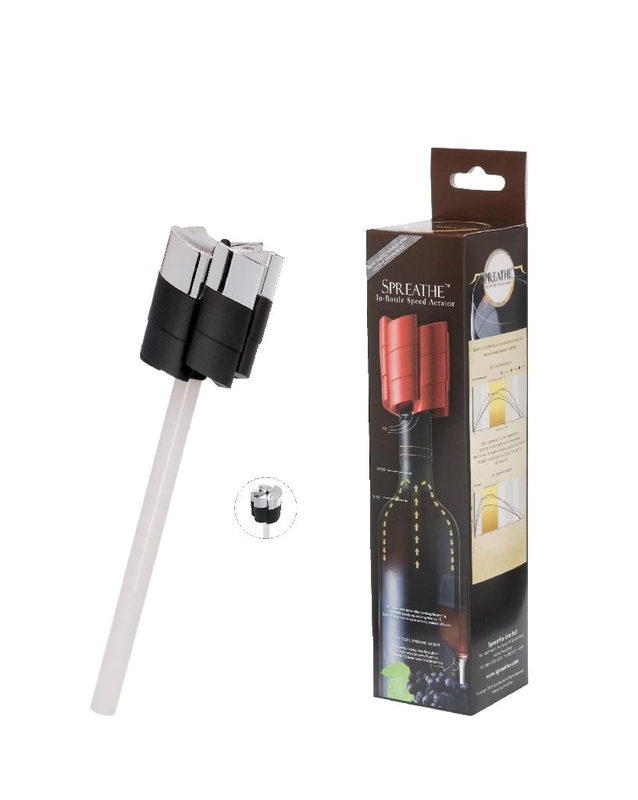 • Whole bottle aeration no messy decanting, no waiting, versus aeration of wine by the glass or in a decanter. 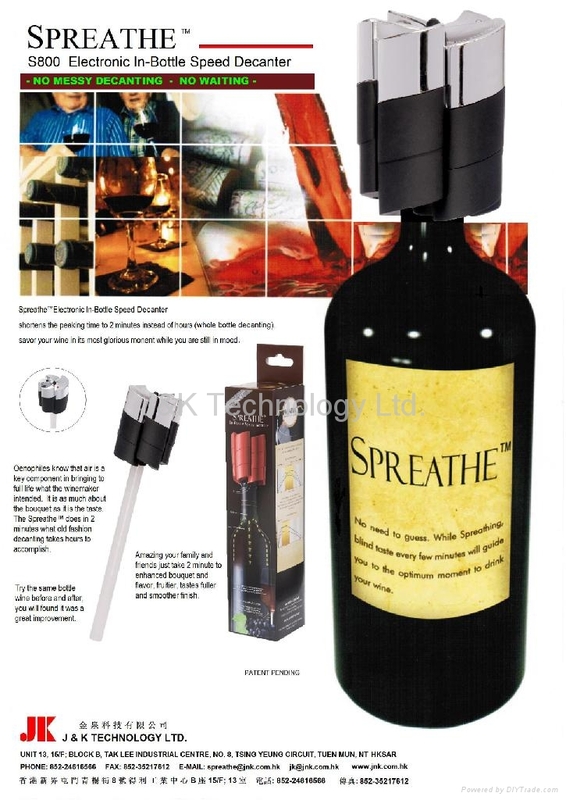 • Simply aerated by inserting the Spreathe™ into the bottle and pushing the start button. • Aerating can be done prior to entertaining party and restaurant, so there is ongoing mess for guests and re-order glasses of wine. • Cleaning the device is simple. 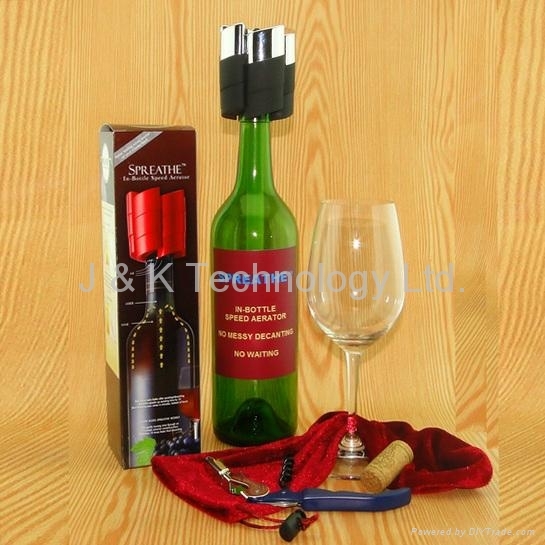 • Any wine not drunk is simply re-corked; no waste as is common using a decanter. Flat 11C, 11/F; Wah Yiu Industrial Centre, 30-32 Au Pui Wan St. Fo Tan, N.T. Hong Kong.